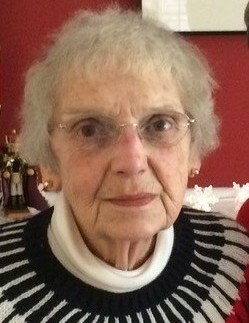 Newton, Nancy Carolyn (nee Fletcher), age 83, died peacefully surrounded by her family on Friday, March 22, 2019. She was preceded in death by her husband, Loren Joe Newton. She is the dear mother of Lucinda Caroline (Andrew) Dillon and grandmother of Joseph Lawerence Dillon and James Worth Dillon. She was born on August 23, 1935 to Worth Albert Fletcher and Edith Fultz Fletcher in Wichita, Kansas. There will be a private family graveside service in Corinth Cemetery, Prairie Village.